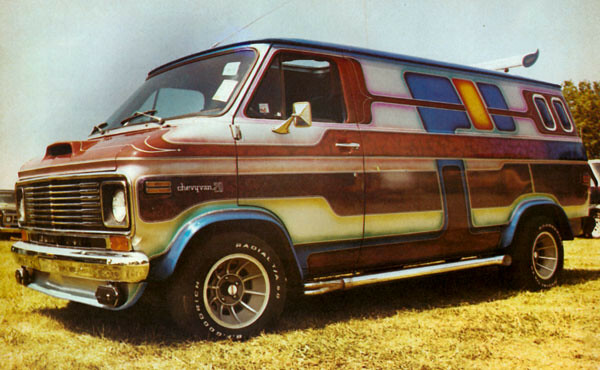 I am in the process of picking out a paint scheme for the custom van project. Today I got out my 1970s van magazine collection for some inspiration. 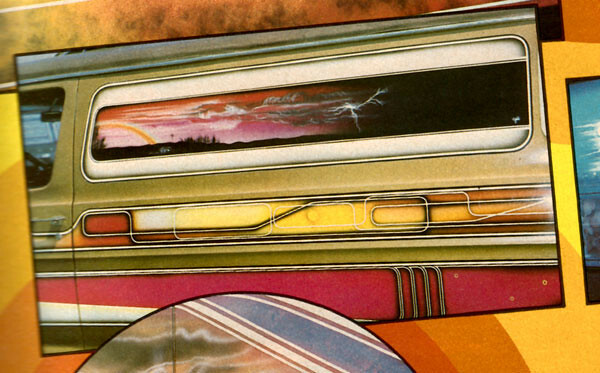 I am mostly drawn to stripes and panel graphics vs murals. The murals are really hard to pull off without looking cheesy. 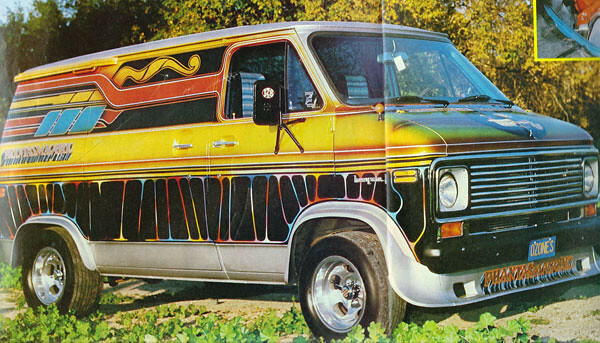 A lot of times vans had both airbrushed stripes or panels and murals. The word subtle was not in the vocabulary. 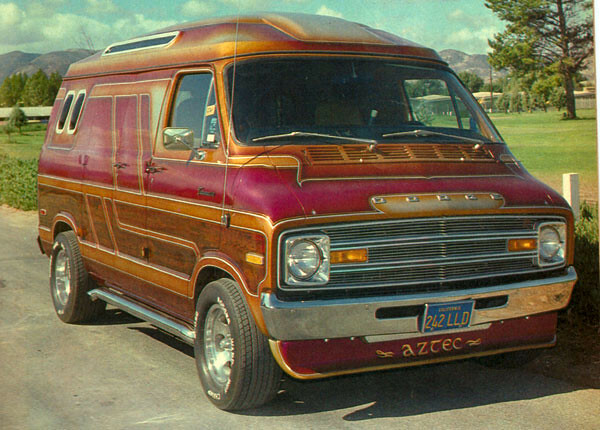 Below are some photos I scanned from old mags like Van World, Custom Van and 1001 Truck and Van Ideas. It’s a shame color printing was expensive back then because most of the pictures are black and white. The color would be the first thing you would notice on most of these. This first one is the same era Chevy Van as the one I am building. Some of the panels have little murals in them. It reminds me of the Dice Van. 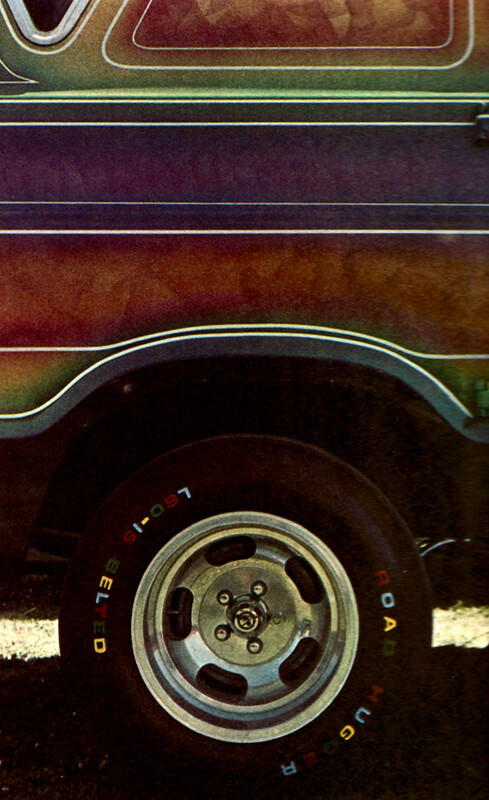 Here is a burnt orange and magenta mid 70s Dodge. It has a raised roof and chrome side pipes. The side panels look a bit like woodgrain. Most of these vans were pretty over the top. I like a lot of the details on this Chevy but could live without the indy car wing on the roof. I like the General Lee turbine wheels though. Another short wheelbase Chevy. I like a lot of the shapes used in this design but the primary colors used are too vivid for my taste. The polished slot rims and full flare kit were standard issue back then. Here is a shot showing some lines and fades inside of panels. Another shot showing some rainbow colored panels. It looks to me like saran wrap texture but it might be some other airbrush technique. Hi …looks like you got a pretty good deal on your van. There are plenty of sites you can check out more van related stuff. Vannin.com, Dropjaw Magazine, Show Vans,Matchstick customs,and even Truck-in Magazine has been showing vans again. 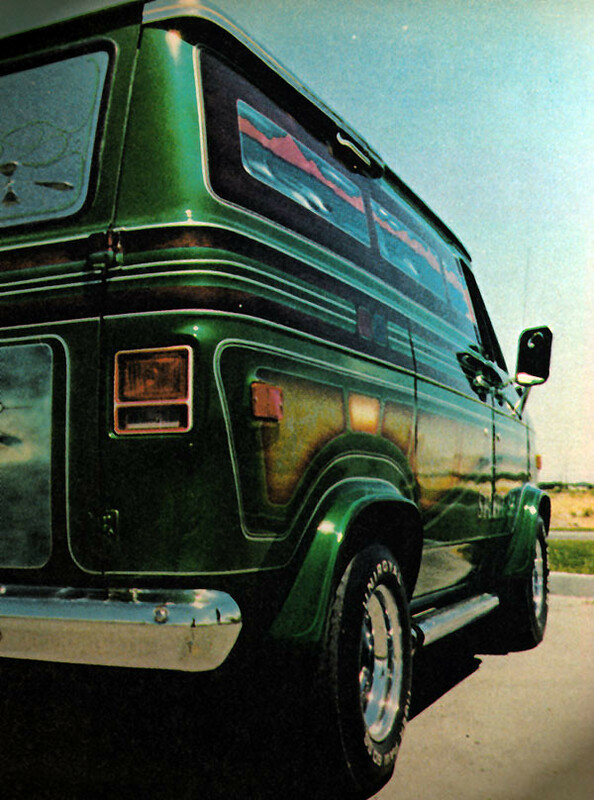 I’ve been vannin since 1989 and it has been really fun.If you would like to check out more stuff on vans I,m on Facebook under Russ Hastings. I have grey chevy van showing.I can send you more sites to look at.